Good Question! We’re wondering, too. Certainly our experience with raising chickens for eggs has underscored why the egg business is dominated by inhumane factory farm practices. 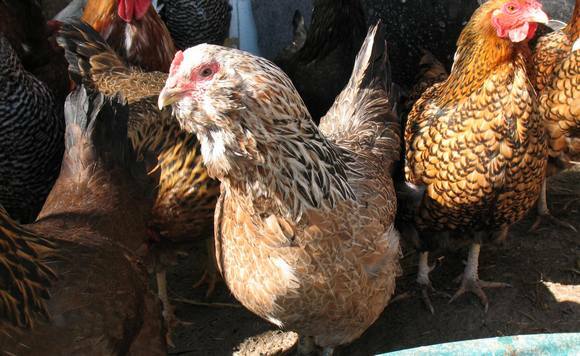 Our feed and labor costs have continued unabated of course, but our chickens this week have responded to the shorter days and cooler nights by reducing their egg laying by more than half. This morning I just gathered two eggs. Not two dozen. Just two. Most of our CSA subscribers aren’t ordering eggs, but those are are have been getting emails and credits when all or part of their egg orders don’t materialize. It’s confusing for everyone. I’m spending more time in the office keeping tract of credits email missing egg inquiries, and egg invoices, than I am actually working with our chickens. It’s nuts. I had thought it would be easiest to add egg orders to CSA invoices, which are sent out at the end of each month for the next month’s shares. But now I’m stuck in the office doing this marathan credit memo, accounting reconciliation procedure each week after boxes go out because the chickens’ egg counts varies so. Soooo, we’re going to scale back to a handful of original egg buyers, based on a first come first served roster, and bill even those few only after they’ve been delivered; i.e. at the end of each month. I’m certain our egg counts will rise as our fledgling chickens come into production; hopefully offsetting the reduced eggs of the winter months. But let us not count our eggs before they’ve been laid! We’ll send out notices to all; and let you know where on the wait list you are. Although I have to admit I mostly just eat my feijoas out of hand, CSA members have asked what else can be done with the short but abundant harvest. 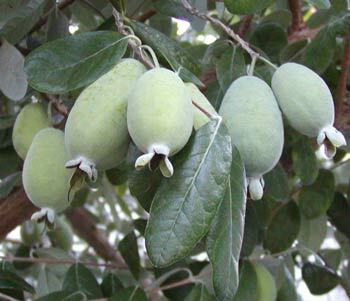 With 3 grams of protein in one cup of pureed (243g) fruit, feijoas have more protein than a banana and 4 times the calcium. Although they have less potassium than a banana, they still pack a whopping 377 mg per cup, and boast almost 50mg of vitamin C and they’re a good source of Folate. 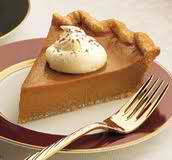 Butternut squash is a fantastic source for the filling of a pumpkin-pie like dessert. Don’t forget to pick up enough organic whipping cream (consider flavoring with a little rum) to use as a topping: a critical component! Directions: Line a pie pan with pie dough. I often cheat and use Trader Joe’s pie dough, which comes frozen. For a while there, they were having a problem with quality control, but the product now is excellent and a big time saver; especially if you don’t make alot of pies and don’t have a system. There was a time when I made a couple pies or quiches a week, and I really had the whole pie dough thing down to a science. Now, not so much and though a Slow Food Advocate, I use Trader’s product. 2 cups of cooked squash or edible pumpkin. Do NOT try using a decorative pumpkin in this recipe. I’ve tried it, and it was just beyond awful, watery and not flavorful at all. 1.5 cups of organic cream. Watch out for the weird stuff grocery stores are now putting in “cream.” Trader Joes is good, and Henry’s and Sprouts have products without the garbage, too. Also, be aware that “ultra-pasturized” dairy has the shelf-life of a Twinkee. It’s garbage, too. It doesn’t even need to be refrigerated, although it’s sold in the same container as regularly pasturized products, and sold from the refrigerated section. Smoke and mirrors. If you can’t find raw, definately choose pasturized, not the ultra . Beat together and pour into uncooked shell. I tear little strips of aluminum foil about an inch wide and wrap just the edges of the pie crust so they don’t overcook. Bake until a toothpick inserted in the center of the pie comes out clean. Okay, I admit it. The main reason that parsley exists for me on the planet is for tabouli. I always considered the parsley on the plate as decorative. So when I tried this at a friend’s house I have to say I was surprised. Then addicted. Besides the obvious and critical component of finely chopped parsley, the core of this dish is a processed form of wheat, called bulgur. There are numerous tabouli recipes, this is just one. Bulgur wheat dates back several thousand years. Because the wheat was dried in the sun, it resisted mold and stored well for long periods of time; making it a survival food during famine. The ancient process is still used in some parts of the Mediterranean. The fresh wheat is boiled in pots until fully cooked (this can take more than a day on some cases), then it’s spread out on rooftops to dry in the baking sun. Finally, when the moisture content is near zero, the wheat kernels are cracked into pieces and sorted by sieving into different sizes for different uses. Today, the bulgur you buy is processed using modern methods, but the nutritional value is still that of a whole cereal grain. 1 cup raw bulgur wheat…try to find medium or course grain; fine grain is too heavy and isn’t good for Tabouli. Rinse wheat. Pour enough boiling water over it to cover by 1 inch. Let stand for half an hour, or until wheat is light and fluffy. What you are doing is rehydrating your dehydrated wheat. Drain off excess water in a colander, then squeeze with your hands to remove whatever water you can. Mix with your chopped veggies, add lime juice, oil and spices. I serve with warmed pita bread. At the risk of appearing obsessed about this subject, we would like to again STRONGLY encourage you to vote YES ON PROPOSITION 37 on November 6thso you can know if Genetically Modified Organisms are in your food. If the proposition passes, many believe it will be the beginning of the end of GMOs in our world…this would be an EXTREMELY IMPORTANT benefit to your health and that of future generations. As you may have realized, the $35 million biotech-funded media blitz to convince Californians that we don’t need to know what’s in our food is now in full swing. And their lies are, unfortunately, reducing the strong lead the initiative had just a couple weeks ago. It would be truly tragic for the measure to fail…please help spread the truth about this important vote. Last night we heard a talk in Medford by renowned GMO expert Jeffrey M. Smith. We already knew a lot about GMOs, but the information he presented blew our socks off. I can’t begin to explain it in concise terms, but the host organization recorded the talk and it will be available online soon. In the meantime, Jeffrey announced that the Institute for Responsible Technology is showing his film, Genetic Roulette, online for free again through October 17 (next Wednesday). Please do yourself, your children, and the earth a favor and find time to watch it SOON! Please pass this along to your friends and family. Our children and future generations (seriously) need your help. This issue is unbelievably far-reaching, and Prop. 37 allows YOU to do something about it…please do not let this opportunity pass us by! P.S. If you want a concise read, here is a link to the article we sent you a couple weeks ago: http://www.organicandhealthy.com/downloads/GMO-article.pdfSince we published it, shocking results of a 2-year French study showing GMO-fed rats developed cancerous tumors and multiple organ damage were released. 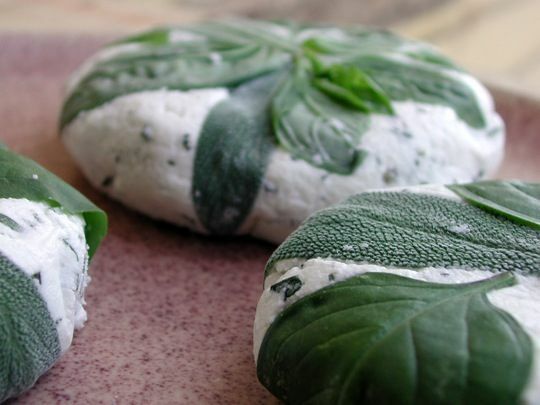 We’re excited about our upcoming Cheesemaking Class! The morning session is sold out, so we’ve added an afternoon session which might just be perfect for all you non-farming late risers;), or for those coming from Orange County. If you drive East over the 91 or the Ortega Hwy, you’ll have to go right through Temecula before getting off the freeway to Rainbow. The Temecula farmers’ market is a lot of fun; and in the same neighborhood is Temecula Olive Oil Company’s olive tasting bar right there in Old Town. So consider leaving early enough to hit both of those, then head over to Morning Song Farm for our 1:00 cheesemaking class. Temecula Olive Oil Company is owned by a local olive farmer and they showcase their amazing just-pressed oils in their little shop on Front Street. They also have olive oil soaps, and most of the time even have a few potted olive trees for sale. Come on out to Morning Song Farm for the first of a series of cheese making classes. A series of three classes, you can choose all three or just one. Each class will be held the third Saturday of the month starting October 20. The morning session for October 20th is sold out, but we’ve just added an afternoon class, and no other date’s sessions have sold out. Get a chance to meet the farm’s beautiful Nigerian dairy goats, pet the babies, and join in a 9:00 sharp milking demonstration. (Our goats don’t like to wait around for anyone;) Bring a crunchy granola bar or two and you’ll be everyone’s best friend, especially Carl The Herd Leader who eats anything but really gets excited if it’s crunchy. Either: A) 5 south to 76 (or 78 which is a little further but a bigger freeway) either way go EAST to the I-15. Go NORTH on I-15 and get off on Mission Road. At the end of the ramp, make a RIGHT. Go 100 feet or so, and Mission Road deadends at Old 395/Stearling Road. Make a LEFT there, and go a couple miles and make your first right at Rainbow Glen Road, which takes you under the freeway overpass. Rainbow Glen Road is very curvy, boasting one of the sharpest hair pins in the nation. Take it slow. At the crest of the hill, you’ll enjoy a view in the little Rainbow Glen Road agricultural valley. MSF is one of the first farms in the valley, on your left.